Well almost, some of them are just zany titles that should inspire the brain’s creative department to take action. Or explode in the case of one challenger. Most of the submissions are in, just waiting for a couple of stragglers. It’s Thursday already most of our submission have been received. Today I have to do paperwork for my own personal affairs, and still resting up after my op. But I will find time today and Friday – I will be getting “the show” ready. Thanks to Belinda the idiotwriter from idiotwriting for our new graphic, for our idiotreaders. It seems that some of the audience didn’t understand the concept of improvised writing (or comedy), so we’ve made it clear with the graphic. Well that’s the positive way of putting it, some might say we have morons in our midst … who knew ? 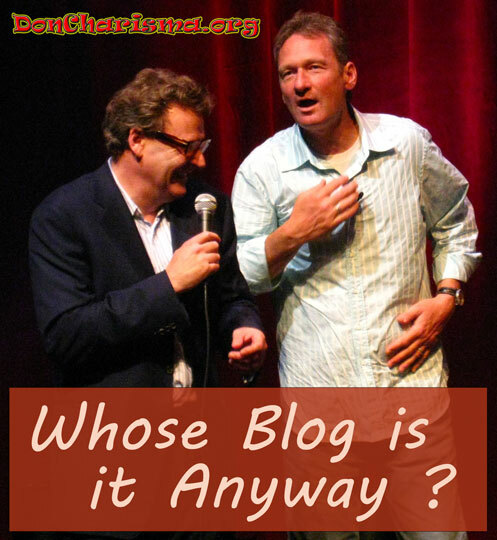 Blogging event of the year – ground-breaking improvisation fused with blogging. Saturday and Sunday – THIS WEEKEND. You snooze you loose – DON’T MISS IT ! Comments are invited. BUT you are reminded that this is a public blog and also you are reminded to think before you press the “post comment” button. I read ALL comments but can’t always reply. I will comment if I think there’s something that I can add to what you’ve said. I do delete comments that don’t follow rules above. For persistent offenders I will ignore you permanently and/or report you. Most decent people already know how to behave respectfully. Thank you for your co-operation on this. I’ve outsourced my pre-hit-comment-button thinking to El Dorado 12 year old rum. I have to send the gf here. At my place I am known as “He who FORGETS TO TAKE THE GARBAGE OUT. (And is bad at yoga. )” There appears to be a disconnect somewhere. And look on the bright side, you won’t have horny perverts doing unspeakables to you for money … no wonder you’re happy ! Cake and eat it ! Oh I love this post 😀 – I love the atmosphere and the fun with words you have got going on. Got to love the thesaurus 😉 Gonna be such fun reading all the other writes…fun stuff! Did you like your one ? … so you’ll be changing your tagline on you blog ? PMSL ! Exciting, I’m looking forward to read all of it and have some smiles and laugh too. Thanks Don, I hope you will be at your top again very soon. Oh my goodness you’ve got me all excited over here! Jumpin’ for joy! I can’t wait!!! I’m so excited! Oh no! Don’t do that to my heart!! I’ll be anxiously awaiting posts and emails! You stole my catch-phrase ! Ooooh! Okay! I was confused there for a second. Yeah my grandpa told me that before he died when I was a little girl. I’ve been tellin’ people ever since. Such wise words aren’t they? Might I also add they’re a great pick me up too? I’m just scheduling your post … not going to tell you when you are though ! Okay..I don’t mind. It’s more fun not knowing! I’ve coined that phrase to quit stressing over the things I cant control and enjoy what I do have. Eh..i’m not to worried about the road itself. I’m excited to see the journey while I’m on it!